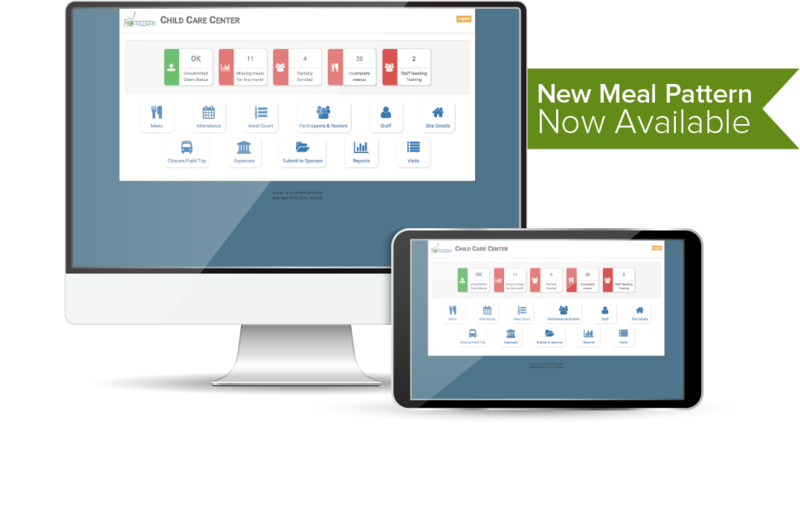 My Food Program has the essential features you need to operate the CACFP and SFSP including tracking participant information, ensuring meals and snacks meet the meal pattern requirements and automated claims processing. My Food Program also has features that will make your life easier. Users can enter meal count, attendance and menus using our mobile app. Sites will also have the option of in/out attendance with time stamps or daily attendance. The software can be set to restrict meal counts to certain times so you can guarantee point of service meal counts! Users are prompted when children with special dietary needs are present at a meal or snack. My Food Program offers flat monthly rates with NO initial license fee, NO additional fees and NO hidden fees. My Food Program allows organizations to upload their OWN logo! Having your organization logo on the software will build brand recognition of your organization and increase program loyalty. We can import participants, classroom or household information using an Excel spreadsheet. This can be a document that you already have or one that can be generated from your existing software. We can help format this document and upload it to My Food Program with no loss of information. My Food Program uses icons and pictures whenever possible to accommodate users of all education levels and language proficiency. Users should need minimal training to get started but will also have access to user guides and videos through the website. We’ve built My Food Program with everything you need to operate the Food Program. Even so, we’re excited to improve our program and add features to make your life even easier. We will add functionality to My Food Program based on customer feedback. So, talk to us! The design team for My Food Program includes a registered dietitian, a former child care center director and a former family child care provider. Our thorough knowledge of the Food Program has made our software the easy and intuitive solution.